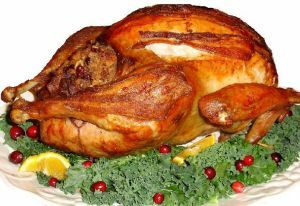 Columbus Marriott Northwest (5605 Blazer Parkway) - This traditional Thanksgiving buffet runs from 11-2:30 and offers turkey, ham, and prime rib as well as a number of sides, salads and desserts. The cost is $32.98 for adults, $24.95 for seniors and $14.95 for children ages 6 – 12. Call 614-791-1000 for reservations. J. Liu Restaurant & Bar (50 W. Bridge Street) – A favorite fusion restaurant, J. Liu will have a buffet with traditional carving, Asian, and Italian stations for guests to enjoy from 10 a.m. to 5 p.m. The cost is $27.99 for adults, $25.99 for seniors and $16.99 for children ages 4 -12. Call 614-718-1818 for reservations. Embassy Suites Columbus-Dublin (5100 Upper Metro Place) – Traditional Thanksgiving dishes will be on the menu in the hotel’s restaurant. Tucci’s California Bistro (35 N. High Street) – This delicious buffet features oven roasted turkey, prime rib, poached salmon, spiced sweet potatoes, corn bread stuffing and a lot of other items from 11 a.m. to 5 p.m. Cost is $32.95 for adults, $10.95 for children ages 5 – 10, and children under 4 are free with a paying adult. Reservations are required; call 614-792-3466. 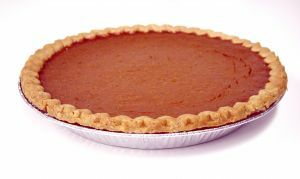 Matt the Miller’s Tavern (6725 Avery-Muirfield) – Turkey, prime rib, mashed potatoes and gravy, candied yams, assorted flatbreads, pumpkin pie and more will be available on the buffet from 11 a.m to 5 p.m. Cost is $28.95 for adults, and $10.95 for children ages 5 – 10; kids under 4 are free with a paying adult. Seating is limited, so call 614-799-9100 for reservations. Kogen’s (9711 Sawmill Parkway, Powell) – On 11/23 only, buy one gift card for $50 and receive a complimentary $15 gift card. Sunny Street Café (7042 Hospital Drive) – The restaurant will be opening at 5 a.m. and have a $4.99 breakfast special until 9 a.m. as well as $1 cups of premium coffees.